In 1992, Michael Caine enlisted celebrity chef Marco Pierre White to open a restaurant with him near his home in Chelsea Harbor, London. Marco jumped at the chance. 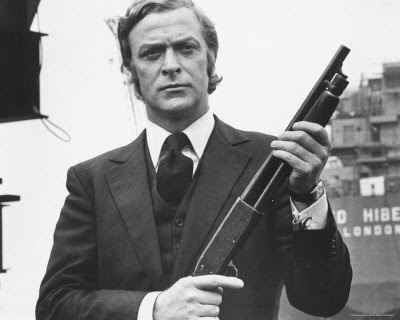 It was not Caine's first foray into the restaurant business and he was well connected... oh yeah, and he had big bucks. 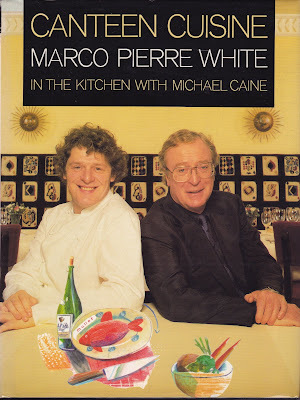 The restaurant lasted about a year, decidedly longer than most of Marco Pierre White's marriages. Around the time The Canteen was opened, White's career was taking off and Caine's was waning. I am happy to report they are both doing quite well. After the restaurant closed Caine went on to win a Golden Globe and a second Oscar and he was knighted. White would become, at 33, the youngest chef to win three Michelin stars (a title he lost to 28 year-old Massimiliano Alajmo). He also mentored (read: yelled at and belittled) numerous culinary stars including: Gordon Ramsay, Heston Blumenthal, Bryn Williams, and Mario Batali to name perhaps the most famous. Even though the restaurant didn't survive, the cookbook did. Canteen Cuisine came out several years after the restaurant closed, but it is filled with many fine recipes, including this lovey pud, as they say in England. 1. Preheat the oven to 180 C/350 F/ Gas 4. 2. Melt the chocolate in a bowl over a bain-maire; this should not be too warm. 3. Whisk the eggs together in a large bowl. 4. Bring the milk and cream to the boil in a pan, then pour on to the eggs, and whisk together. 5. Pass through a sieve on to the chocolate and mix well. Pour this into the blind-baked tart case. 6. Put the tart into the oven, and immediately turn off the oven off. Leave the tart in the oven 40-45 minutes. 7. When cool, trim the edges of the pastry, and cut the tart into 10 portions. Serve with chocolate shavings on the top, and sprinkled with icing sugar. The chocolate is a dark 70%, so pick one of your own choosing. I trust you can use your own pâte sucrée recipe. So now you are good to go. Here are a couple of extra pictures of the boys with their guns. 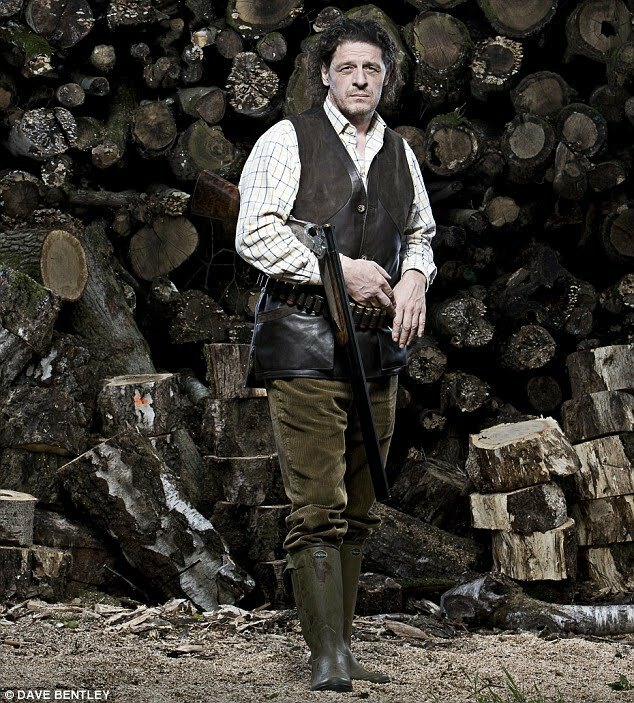 In the end I would rather see them with their guns than with those nasty cigarettes, besides, before long showing images of folks smoking will earn us an "X" rating. Marco Pierre White hunting rabbits. 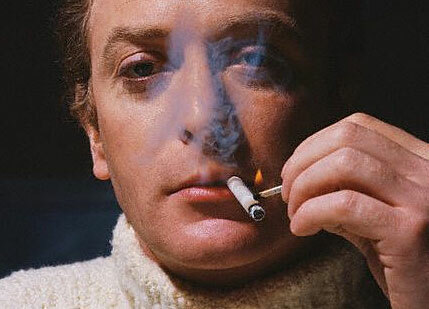 Michael Caine hunting bad guys.